One of the most memorable parts of your trip to Disney World will be having the best dining at Disney World. Whether you’re in the parks or in a resort there are tons of dining options that will look great and beg for your dollars and attention. One of them being Tony’s Town Square. Tony’s Town Square is placed right at the forefront of Main Street, U.S.A with incredible smells of Italian cuisine and placed right next to the Town Square Theater. With its old turn-of-the-century design style and beautiful patio seating it’s hard to miss the restaurant on your right side as you enter the Magic Kingdom from the main entrance. Tony’s Town Square is a casual dining option, so while it may look a little fancy based on the wait staff’s costumes and indoor waiting area, your Mickey Mouse ears and dad shorts are completely acceptable in this restaurant. Tony’s Town Square is inspired from everybody’s favorite classic, Lady and the Tramp. Once inside the restaurant you’ll see some of the films greatest stills framed as décor throughout the various sections of the dining area. The windows will have colored photos of Lady and the Tramp themselves and the main dining area is centered with a fountain of Lady and the Tramp to bring the essence of the movie to life. Before walking in you can even find the two pups footprints on the sidewalk with a heart drawn around them. The Lady and the Tramp theme is noticeable throughout the restaurant with the film even playing on repeat in the restaurants waiting are. The restaurant even offers the occasional accordion player to liven up the mood and play some classics from the film. But the entire restaurant is less about the connection to the film and more about the quick casual dining experience. So while you may not be visited by the famous pups while dining you can be sure to enjoy one of their favorite meals. That’s right, the famous spaghetti and meatballs. You can opt to romantically split the dish and share a noodle to get that perfect Lady and the Tramp moment, but I suggest getting your own dish because you’ll be sure to gobble it up yourself no problem. The menu offers multiple options for appetizers, entrees, and desserts. Or as they’ll be stated on the menus there; antipasati, secondi piatti, and dolce. There is no breakfast menu since the restaurant is only open for lunch and dinner but be mindful that the lunch and dinner menus are the same so there is no need to choose one over the other based on the menu. The menu also offers an Italian-inspired wine list to best pair with your meal in case you’d like a bit of vino in the midst of the Magic Kingdom chaos. Kid options are also available on the menu with everything from Italian spaghetti and meatballs to a milder offering of cheese pizza. Each child menu item also comes with the option of two sides, so variety won’t be a problem with the kids in this eatery. The food itself it pretty good for Disney-fied Italian cuisine. In my opinion, one of their best appetizers are the crispy calamari dipped in marinara sauce, this is delicious, easy to eat, and fun for kids to get in on too. 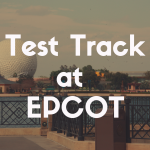 If you’re seeking a vegetarian option the eggplant involtini without the prosciutto is one of the best simple eggplant dishes in the Magic Kingdom. With basil sauce and melty cheese the eggplant really shines as a delicious vegetarian alternative. When it comes to the main course everyone has one option in mind at this restaurant, the iconic Lady and the Tramp spaghetti and meatballs. The spaghetti and meatballs are a classic Italian dish and Tony’s Town Square’s rendition come with large meatballs to enjoy. Tony’s Town Square also offers a few great Italian dessert options, with one of the best options being their Tiramisu. This moist dish will give you a small dose of caffeine and make you fall in love with its delicious layers of cream, cookie, and mascarpone. These are some of the highlights of the menu and surely there are more options that exceed or miss the mark in terms of quality. Overall Tony’s Town Square is probably not the most spectacular place to eat in all of Disney World but it will leave you feeling full and fill you with that comforting Italian feeling with a surprising Disney twist. Prices at Tony’s Town Square are standard as with other similar restaurants at Disney World with an entrée averaging around $25. But the cost of this restaurant can surely surprise you once you include a large group and add wine into the mix. Wine here can be up to $89 a bottle and around $14 a glass. If you’re not looking to spend a ton of money keep the alcohol intake to a minimum and share desserts, they’re plenty big and the entrees will be sure to fill you all up. Tony’s Town Square is a part of the Disney Dining Plan and the Disney Deluxe Dining Plan as well as the Disney Festival of Fantasy Parade Dining Package. All of these will have varying prices but be sure to look at the varying options to see which one would work best for your trip. 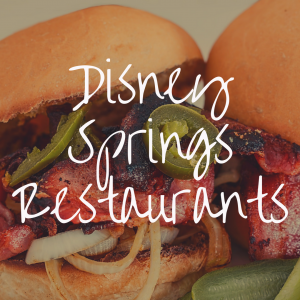 The dining packages can come in handy when in the parks, especially when eating at Tony’s for the Festival of Fantasy Parade, but more on that a little later. 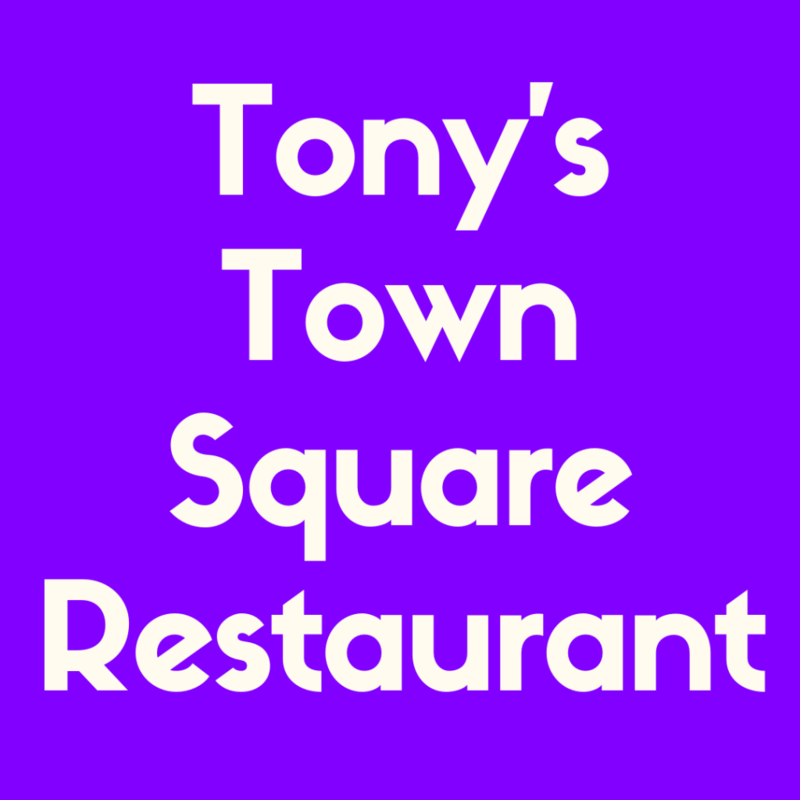 As mentioned before, Tony’s Town Square is considered casual dining. But this does not mean the service quality is lacking in any way. 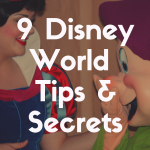 Disney World is known for their phenomenal service and Tony’s Town Square is included in that. The wait staff is attentive, fun, and quick to help in any way they can. The table bread arrives quickly and so does the food once it’s ordered. Once, my waiter even offered my party a free dessert after a tiny mishap in our orders. The service here really helps elevate the entire experience especially with the cast members all wearing decorative costumes to help make everyone feel welcome and served. Keep in mind this restaurant is one of the firsts seen in the Magic Kingdom so getting people in and out with a positive experience is necessary, but the staff really goes above and beyond to make you feel just as special as Lady and the Tramp did on their spaghetti date. Tony’s Town Square is a great mid-day park dining destination, but I recommend you make a reservation if you’re sure you’d like to dine here. The wait time can be fairly long depending what time you choose to eat so reserving your spot at a certain hour can help you eat in a timely fashion and also work against a deadline during your day trip in the park. This restaurant is in a pretty favored location within Magic Kingdom. From the restaurant you can see certain character greeting areas, parades at certain hours, and if you’re having a late dinner you can leave right after eating with very short walk to the entrance. If you’re looking for a very specific time to eat at Tony’s Town Square then definitely book a reservation a couple of weeks before your trip. If you like the sound of Tony’s but aren’t sure enough to book then try to eat at unusual dining hours to beat the wait times. 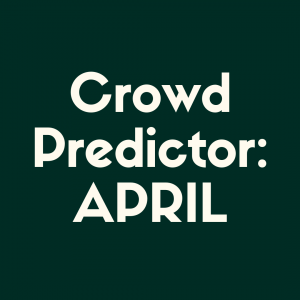 Again, the service here is quick and there’s plenty to do nearby during the wait, but be mindful that days come where the spot may be fully booked. I mentioned earlier that Tony’s Town Square was part of a special Festival of Fantasy Dining Package. What does this mean? Well, The Festival of Fantasy is Magic Kingdom’s most coveted parade, including princesses, villains, a mouth-breathing dragon, and Mickey and Minnie with all their friends. It’s the parade to beat all parades and Tony’s Town Square is a part of its exclusive dining package. The dining package offers a lunch at Tony’s Town Square and then whisks you to a VIP viewing of the parade close by. This dining package is great for families and it makes Tony’s Town Square a very unique restaurant at Magic Kingdom ensuring you don’t miss one of its most spectacular functions. If you want to still have a stellar view of the parade without having to commit to a dining package Tony’s may still be the best option for you. See, the Festival of Fantasy parade starts at the roundabout leading to Main Street, U.S.A. that’s the exact same roundabout the restaurant is on. If you reserve ahead of time you can book patio seating at Tony’s Town Square and enjoy a nice meal with a unique ground-level view of the Festival of Fantasy parade. 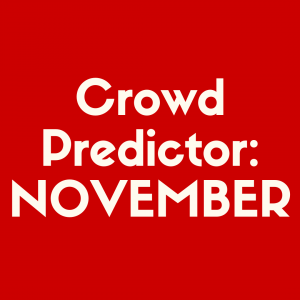 Be sure to arrive well-before the parade starts as the area tends to get crowded with spectators making it difficult to get to your reservation on time. This makes Tony’s Town Square one of the best kept secrets in parade viewing destinations. Other than the incredible view of the parade Tony’s Town Square’s patio seating is still a great atmosphere. I prefer sitting outside Tony’s Town Square for lunch to enjoy some shade during a nice warm day, people watch all the fellow Disney lovers, and also scout out which characters are nearby for a post-lunch meet-and-greet. The outdoor experience in Tony’s Town Square is much different than their indoor Lady and the Tramp decorum and offers a different visual experience. But, more could be done to make Tony’s Town Square Restaurant a bigger hit. For example, the Lady and the Tramp décor is charming and loveable but falls a bit flat in comparison to Disney’s other themed eateries. Other than the few photos and center fountain there’s nothing that really ties Lady and the Tramp to the restaurant. The spaghetti and meatballs are more “on-theme” than some of the décor here. This is not a character-dining experience, but it would be nice if guests could have a more interactive experience with the characters and movie. This could all be due to Lady and the Tramp being an older film and the restaurant possibly just needing a quick refreshing touch. However, if guests are looking for a focused character/film driven movie experience, Tony’s Town Square will provide a limited version of that. If we compare Tony’s Town Square Restaurant to another Magic Kingdom new and much more popular eatery such as the Be Our Guest Restaurant, we notice how Tony’s Town Square really is limited in its theming. However, in Magic Kingdom alone Tony’s Town Square is among only a handful of casual dining options without offering any sort of “fast/quick service” or buffet style, making it a Magic Kingdom classic. But, if we look to compare this restaurant with a more authentic Italian experience such as Tutto Italia Ristorante at the Italian World Showcase in Epcot then Tony’s Town Square is dim in comparison. Tutto Italia is more likely to offer a more authentic Italian menu and experience while Tony’s Town Square will give you a unique magical twist on a classic restaurant from a Disney movie. All in all, Tony’s Town Square is still an above average in-park restaurant by all accounts and can be placed as one the best Disney World restaurants. Tony’s Town Square Restaurant gets a rating of 4 stars. They provide hearty meals with excellent service and give you a unique opportunity to share your very own Lady and the Tramp style spaghetti kiss. The restaurant offers incredible views of the Festival of Fantasy no other restaurant can and is even located at the mouth of the park where you can leave or enter with ease. 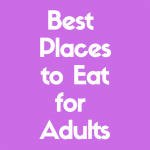 However, the lack of entertainment within the restaurant itself makes it difficult to compete with so many other wonderful restaurants across the Disney World property. Next time you’re planning to visit Magic Kingdom consider Tony’s Town Square as a dining option and be sure to snap a photo of your own rendition of the famous spaghetti smooch.